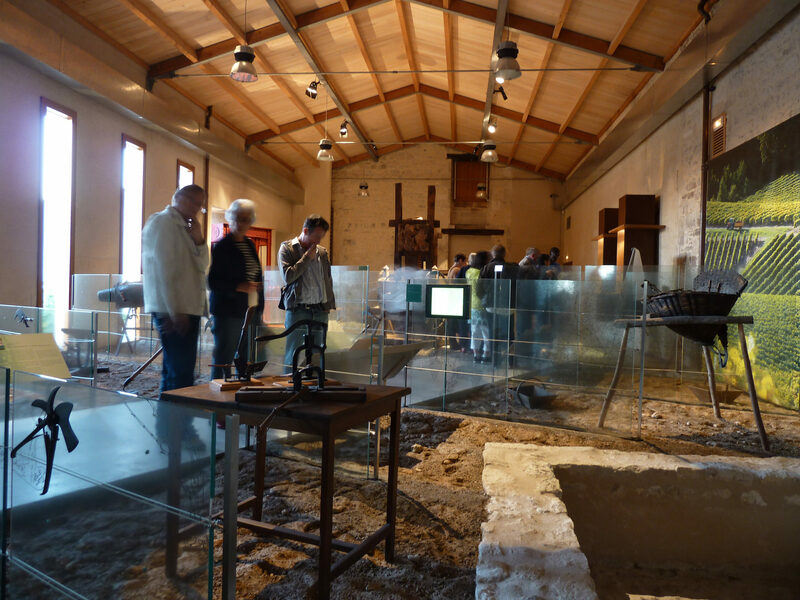 The history of the cognac is closely linked to the history of distillation. 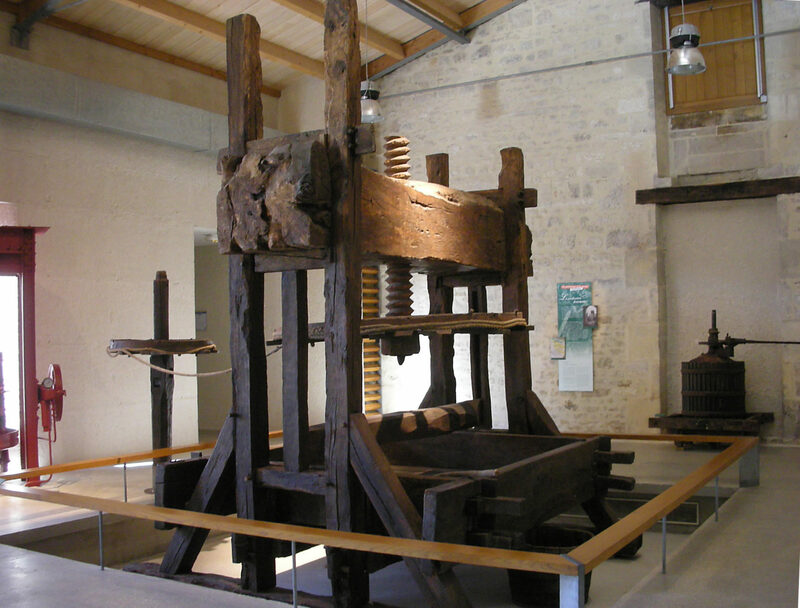 Introduced in the 15th century by the Dutch, this technique enabled Charente’s wine to preserve its quality during transportation, especially in Northern kingdoms, where the « brandwijn » (burnt wine) was much appreciated. In the 18th century appeared the double distillation : stills are modified and the quality of the eaux-de-vie improves thanks to ageing in oak casks. The cognac was born and so began the adventure of a town later to become a business capital of international renown. 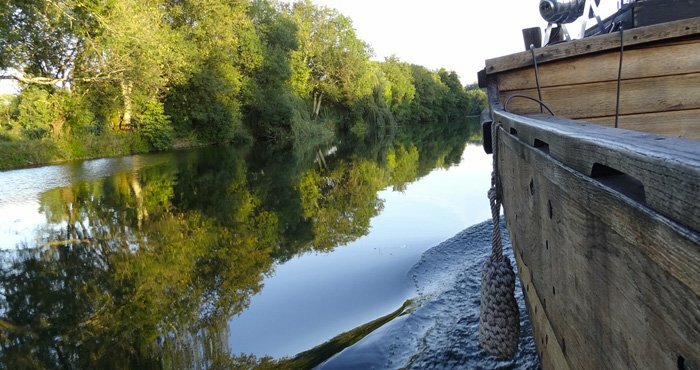 Next century, the market becomes organized : numerous “Local Offices” are created and in the middle of the 19th century, begin to ship eau-de-vie in bottles instead of casks. The vineyard occupies nearly 280 000 hectares. In the 1870’s, the spread of phylloxera deals a fatal blow to the vineyards which cover only 40 000 hectares in 1893, and at the same time the local economy making the price of land fall. The vineyards recovery, resorting to grafting, will take many years of patient effort. 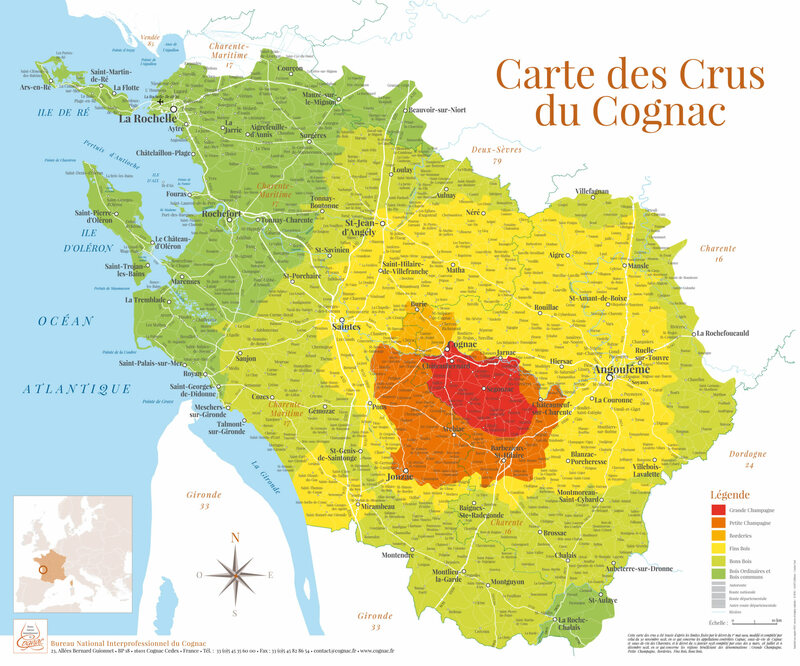 In the 20th century, the vineyards recover, the geographical area for production is delimited (May, 1st 1909), Cognac is recognized as a Controlled Appellation of Origin in 1936. During the Second World War, a wine and eaux-de-vie distribution bureau is created to protect the stocks of Cognac. When the war ends, it is replaced by the Bureau National Interprofessionnel du Cognac (BNIC). Henceforth, all the stages involved in Cognac elaboration are subject to regulations destined to protect the product, and thus its reputation is increasingly known and respected. Today, the cognacs, which quality and authenticity stay unrivalled, are 95% exported in 160 countries ! After the distillation,eaux-de- vie are put in oak barrels for minimum two years, often more.